Cape Coats of Fall/Winter 2015-2016 - Be Glossy In and Out! A cape is a sleeveless outer garment, which drapes the wearers back, arms and chest, is open down the front and fastens at the neck. 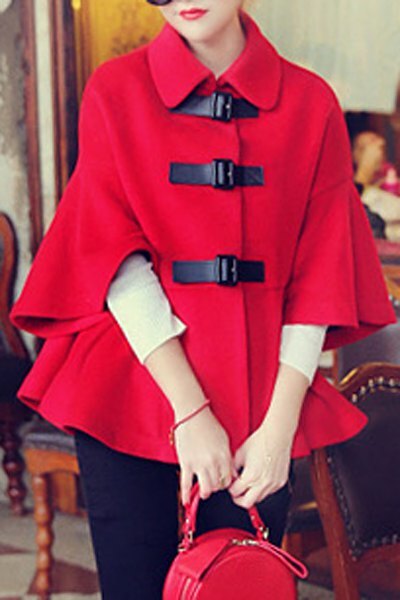 Capes were common in medieval Europe, especially when combined with a hood in the chaperon, and have had periodic returns to fashion, for example, in nineteenth-century Europe. 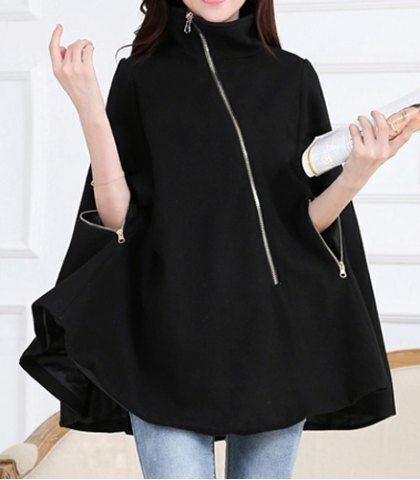 The capes are back in fashion in fall/winter 2015-2016. You can create a very elegant and unique look with a classic, vintage cape coat or a military-inspired look with a buttoned coat or even a Little Red Riding Hood-esque style. This season wear them with confidence and you will not mistake. Cape coats are kind of like ponchos with sleeves, but warmer. They are usually made of wool and can be worn both for daily or evening events. Cape coats are for sophisticated women who like to wear sleek and out of ordinary clothing. 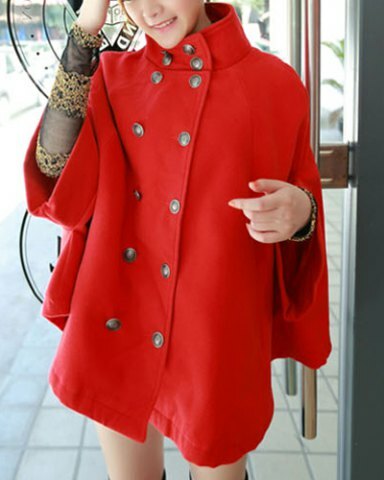 Cape coats can be with long, three quarter or short sleeves, so they can easily be matched with the general outfit. Being so comfortable, you can pair them with jeans for a casual look or with a long skirt or black pants for a more classic style. At Rosegal, fashion is attitude and fashion is a lifestyle and there are so many styles to choose from and find your favorite coat for the cool weather which is coming. Rosegal is combining the vintage high quality clothing with modern pieces at the most competitive prices. The best combination of the fall/winter 2015-2016 is black and white. But there are also other colors which are this season`s trends, like blue, orange, burgundy, dark grey, lemon.The neutral shades remain in fashion. 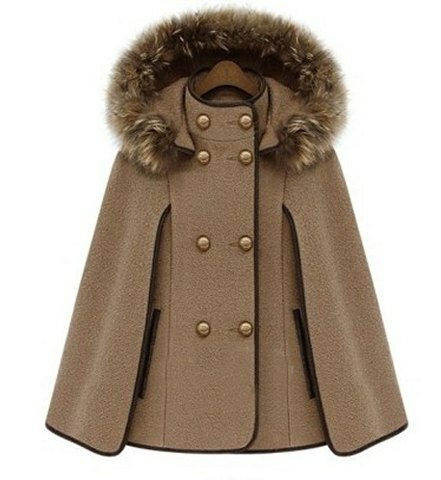 The vintage inspired cape coats are back in fashion. They are so feminine and stylish. They can be accessorized with tight high boots, wide brim hats, shiny shoes or statement bags. Don,t forget that fashion is first of all attitude,so wear your clothes with confidence, pride and good vibe. 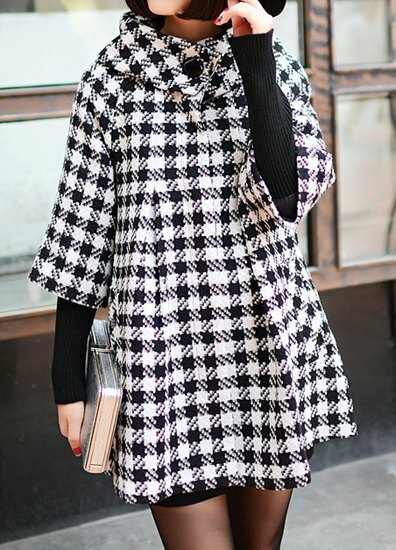 Be chic this season wearing a cape coat!